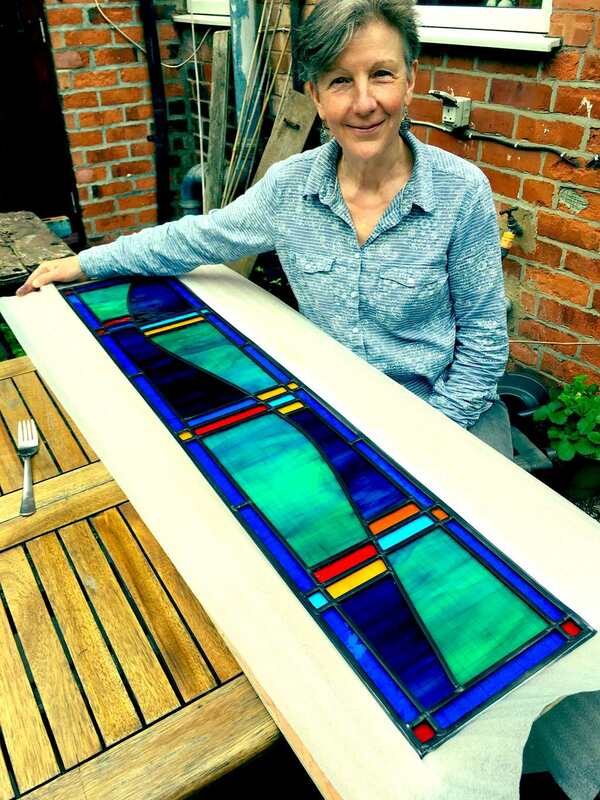 I have worked with stained glass for over 20 years, sometimes alone and sometimes with others. It is a beautiful medium where colours can be rich or light, deep or refreshing, with a combination that changes with the time of day and the seasons. I like making leaded panels with their smooth, finished quality or tiffany-style soldered pieces with their flexibility which allows for a more playful approach. When fusing I include lovely, shiny dichroic glass to add the reflective quality too, or bits of metal, transformed by heat. I also teach glass skills, sharing the absorbing joy of working with glass. Browse the different types of glasswork and enjoy yourself!